The trouble with FX’s new “X-Men”-adjacent superhero show, “Legion,” is that it’s never clear what’s real and what isn’t. That makes it tough to keep track of the timeline of the show. With protagonist David (Dan Stevens) hopping around in time between flashbacks and the present, even he isn’t sure when things happened, or if they happened at all. Here’s a list of all the events that happen in “Legion” in order, as near as we can tell, the sixth episode. Spoilers! Oliver and Cary build SummerlandMelanie explains that her husband, Oliver Bird, constructed the Summerland ranch with Cary. Later, it would become a hideaway, base of operations and school for mutants. Oliver gets lost on the astral planeEventually, Oliver spends too long mentally projecting himself onto the astral plane and loses his way. Melanie and Cary cryogenically freeze Oliver’s body to keep him alive, which also prevents him from aging. David is bornThe circumstances of David's early life are hazy. We don't know who his parents were for sure, although "X-Men" comics lore says his father is Professor Charles Xavier. David’s dad fights the Shadow KingDavid puts together in Episode 7 that the Shadow King, also known as Amahl Farouk, and his father were enemies and did battle on the astral plane. The Shadow King’s body was apparently destroyed, but his mind lived on to possess people. David is adoptedAfter the battle, David speculates, his father gave David up for adoption to protect him from the King. David winds up with the Hallers, the only family he's known. But already, the Shadow King is with him, appearing in the form of David's dog, King. David and his adopted dad do things togetherWho knows what really happened to David in his early life. It may or may not be real, since we know he was being manipulated by the Shadow King from a young age. David's powers begin to manifestIn the comics, Legion has pyrokinetic powers as well as telepathy and telekinesis. It appears we're at the start of David's powers manifesting. David starts to hear voicesThis is where it all gets wonky. The voices in David's mind are supposedly a manifestation of his powers, but they haunt him and make everyone around him think he suffers from mental illness. David gets into trouble at schoolThe moments shown in the opening of the first episode seem like they're less memories and more facts. We don't know for sure, but this history of David's life seems trustworthy. David has more run-ins with authorityThings aren't going well for David as he gets older. His troubles dealing with his abilities and mental illness seems to lead him to run-ins with the law. David boards the cruise ship Mental HealthMedication is the first step that'll end with David in the Clockworks hospital. Dr. Poole comes to David's for dinnerThis memory Ptonomy pulls from Philly's memory seems to be from some time before Lenny, or Benny, showed up. We know at least Lenny is a manifestation of the Shadow King, but it seems likely that Benny was a real person, and the King manipulated David's memories. It's not clear how much influence the King is exerting over David here though, since he seems in good mental shape. Maybe his drugs suppress its influence. David and Philly fightWe've only heard tidbits of what's happened post-high school. David was expelled from college, has become a junky, and is living with his girlfriend. Here, Lenny suggests David rob Dr. Poole, which seems to have been a move designed to destroy audio tape that might have revealed the Devil's existence. After that David's girlfriend Philly shows up and they have a fight. David blows up the kitchenThe oft-visited memory shows David's powers going off in his apartment. The destruction, out of David's control, causes Philly to leave him. David tells Dr. Poole about Philly leavingWe've seen his moment in David's memory work. This therapy session falls before David robs and attacks Dr. Poole, but after Philly has left. Lenny trades a stove for drugsSeemingly right after David leaves Dr. Poole's office, Lenny shows up with a stove she stole. They use it to get more vapor -- but this memory of Lenny seems to be manipulated by the King. The real person in it was Benny, apparently. Lenny and David get high againThis is the moment when David sees Lenny as the Devil with Yellow Eyes, his name for the Shadow King, during his memory work, revealing that Lenny is the King manipulating David. Might also be the same day he robs Dr. Poole, judging by his clothes. David robs Dr. PooleThis appears to be the event that starts David on his track to Clockworks. He attacks Dr. Poole during the robbery. Syd and Ptonomy suspect the King was using the robbery to destroy one of the recordings from his therapy session. David attempts suicideIf Dr. Kissinger's therapy flashbacks in Episode 1 are accurate, this is the event that got David committed to Clockworks. Philly visits Dr. PooleAs seen by Ptonomy in her memory, it's not exactly clear when this happened. We're also not sure exactly why. It looks like the event might have been manipulated by The Eye specifically to lure Syd, Ptonomy and Kerry into a trap. David gets committed to ClockworksWhen we first actually meet David, he's stuck in the institution. It's not completely clear how much of what he experiences there is real, though. Lenny is there with him, but it's possible at this point that David is the only person who can see her. Syd arrives at ClockworksSuddenly, Syd appears, and David is immediately drawn to her. They start dating. Syd and David switch bodiesOn the day Syd is getting out of Clockworks, they accidentally touch. Syd's mutant power switches their souls between their bodies. With Syd in David's body, she can't control his power, and apparently accidentally kills Lenny. Dr. Bird gets Syd, David leaves ClockworksWhile they're body-switched, Dr. Kissinger takes Syd (who is actually David) out of the hospital. Meanwhile, Dr. Bird and her team nab David (who is actually Syd). They switch back soon after. David goes back to Amy'sBack in his own body, David returns to his sister's home and stays in her basement. He sees the Shadow King version of Lenny for the first time, as far as he knows. David tries to find SydThe next day, David heads out to make a phone call to Clockworks about Syd. He sees Ptonomy and Kerry following him -- but gets grabbed by Division 3. Division 3 interrogates DavidThis is the bulk of Episode 1, and seems to happen as we see it there. David is interrogated, and Syd appears in his memories to warn him she's coming. Syd rescues David from Division 3At the end of Episode 1, Syd shows up with Kerry, Ptonomy and a whole team of mutants to save David from the government's clutches. The Interrogator survives the rescueOne of the only people to survive David's escape, the Interrogator (real name Clark) is taken to the hospital. He suffers burns over 40 percent of his body. David arrives at SummerlandAfter the rescue, Dr. Bird starts to help David deal with his powers. They start memory work and scanning David's brain in Episode 2. From here through Episode 3, everything that's not a flashback seems to happen in chronological order. Division 3 nabs AmyDavid sees this as a telepathic projection. We're led to believe Division 3's interrogation of Amy is happening at the same time as his training at Summerland. Dr. Bird and Ptonomy explore David's memoriesThey're starting to unlock the moments when David's Legion powers manifested, but it's all very confusing. David and Syd see Amy's interrogationAnother memory work session later, David's back to being scanned. He has a Lenny moment and freaks out. He and Syd telepathically visit Amy's interrogation at Division 3. David accidentally teleports Syd and himself out of the building and into the lakeHe still doesn't have a handle on his powers. Syd and the others get trapped in David's memoryDr. Bird suggests they sedate David for memory work, but the whole thing turns very scary as David's memories start bleeding into each other. David meets Oliver and Lenny on the astral planeOliver has some good advice for David about fighting his monster, and a love for beat poetry. Lenny seems eviler than usual, slowly revealing that she's actually the King in disguise. Amy tells Dr. Kissinger that King wasn't realIn the cell at Division 3, it becomes apparent David really is seeing things that aren't there. And not just because of his powers. Syd and Ptonomy find out Lenny is really BennyPhilly unveils more truth about the changes from reality found in David's memories. The Eye attacks Syd, Ptonomy and KerryDavid saves them but not before some more body-switching intrigue and some serious injuries to Kerry. David and Lenny combine powers, which gives her more influence over him, it seems. David creates the White RoomA little time spent on the astral plane gives David the ability to craft his own little realities. That raises some questions about what’s real and what isn’t when David’s around — and when he might have been making up realities in the past without knowing it. For now, though, the White Room is a handy escape. Lenny and David go to rescue AmyConvinced he should team up with Lenny, David heads to Division 3 on his own. The Shadow King apparently takes over David. The result is some insane destruction as David melts people into walls or just vaporizes them where they stand. Cary thinks the King is a parasiteThis is some key exposition. Cary postulates that the King isn't a part of David at all, but an outside creature that has burrowed into his mind. This helps him figure out what he’s dealing with later. The Interrogator is rehabilitatedAfter a long time spent convalescing in bed, the Interrogator goes back into the field to get his revenge. The King whisks everyone back to ClockworksAfter a confrontation, a revelation that David is adopted, and Syd seeing the Shadow King for the first time, everyone suddenly winds up at Clockworks. The King as Lenny leaves everyone in a confused state where they can't remember their true pasts. Oliver starts saving peopleEveryone's stuck in Lenny's imaginary Clockworks but no one seems to know it. But luckily, the diver -- who we saw to be Oliver before -- shows up to whisk people off to the astral plane. The King reveals itself to DavidLenny gives David a hint about the reason she's attacked his mind -- she has history with his father. David figures out the KingWith the help of his rational mind, David puts it all together. As he figures out that the Shadow King is another mutant trying to get revenge on David’s father, he discovers what he needs to do to save himself and his friends. Oliver and Cary work to save everyoneMeanwhile, Oliver and Cary use astral projection to free everyone else from the Shadow King’s Clockworks fantasy. They work to get Cary’s halo device on David, which can isolate the Shadow King and free David from its control. Lenny kills The EyeAs the group works to try to save David and Syd, Lenny shows up to fight back. When The Eye interferes with Kerry and Syd, Lenny uses her powers to make him implode. It’s pretty gross. David stops the bulletsCary manages to get the halo on David, freeing everyone from frozen time and returning them to the real world. David uses his powers to stop the bullets that would have killed him and Syd. The team is able to return to Summerland with the Shadow King defeated. Even Oliver makes it back. Division 3 shows upRight after everyone gets back to Summerland and tries to celebrate, the government goons of Division 3 arrive in force, led by the Interrogator. David easily dispatches them and takes the Interrogator captive. The Shadow King tries to kill DavidLenny attempts to cut a deal with Syd, threatening to kill David if the others try to destroy her. Cary and Oliver attempt to remove Lenny from David's mind, but the process starts to harm David as Lenny fights back. The Shadow King escapes inside OliverFree of David, the Shadow King possesses Syd, then Kerry, and finally Oliver. 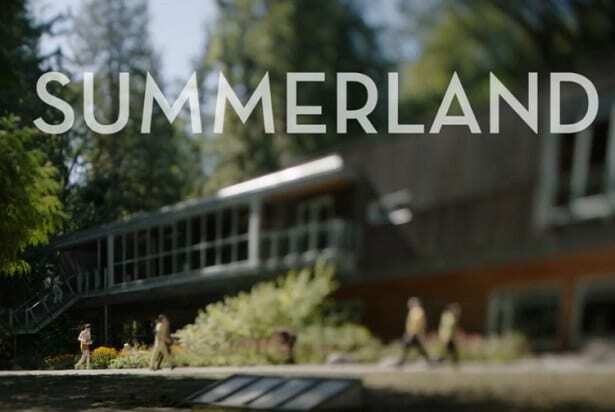 She walks out of Summerland in Oliver's body and sets off in search of ... something. David and Division 3 reach a truceThe Interrogator realizes that the real danger is the Shadow King and the two organizations agree to help each other against it. David is captured by an unknown robotIn a mid-credits scene, a strange drone-like robot appears at Summerland. It scans David, before seemingly teleporting him into the drone and drifting away. Who controls it and what they want with David is unknown.